Don’t cringe during a game watching that uniform get dirty. 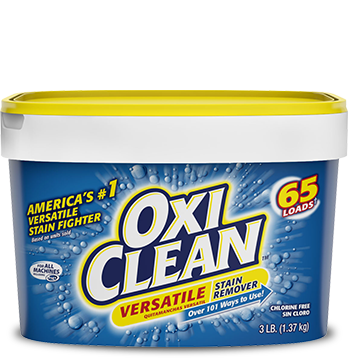 OxiClean™ Versatile Stain Remover is up for the challenge—which is why it’s the Official Stain Remover of the Babe Ruth League. Act fast—Fit presoaking into the game plan—it’s just as important as washing when it comes to preserving the quality of uniforms beyond one season. 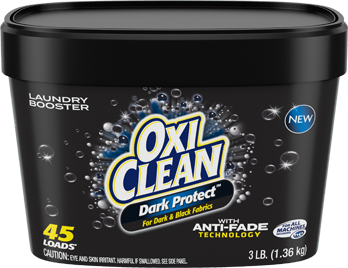 Always test OxiClean™ on an inconspicuous area first. Rinse, and allow to dry. Safe on colorfast fabrics only. Always follow manufacturer’s instructions for water temperature and for the item being cleaned. Do not use on wool, wool blends, silk, silk blends, leather or on fabrics labeled dry clean only. MIX Fill scoop to line 4 per 1 gallon of water. Submerge stained items in solution after dissolved. 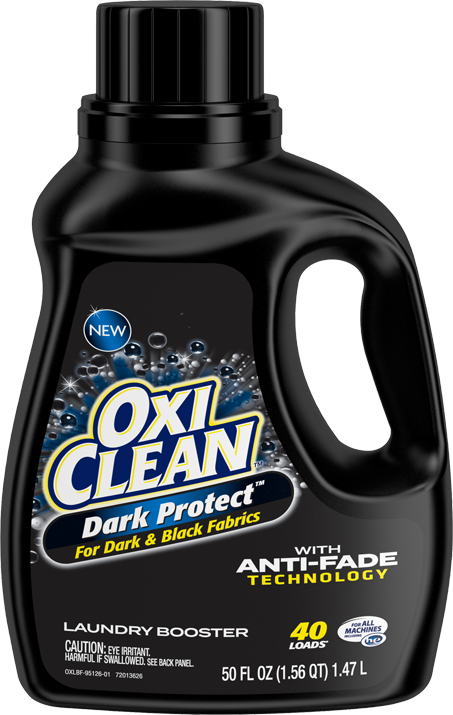 WASH as normal with detergent and OxiClean™ Versatile Stain Remover. 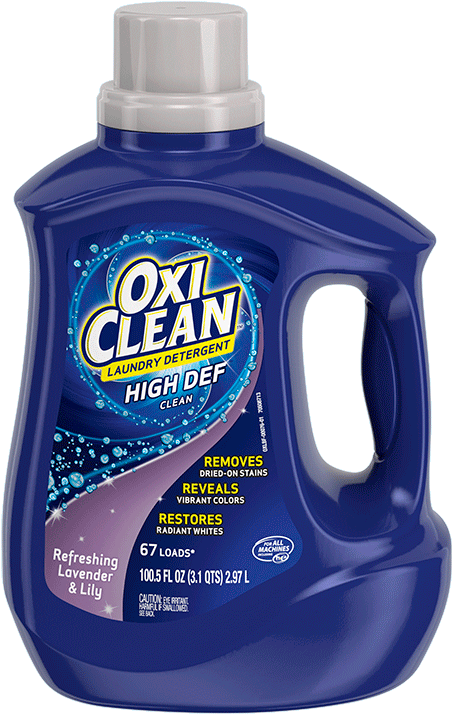 Wash uniforms inside out – This reduces potential peeling of letters or numbers and dye transfer. 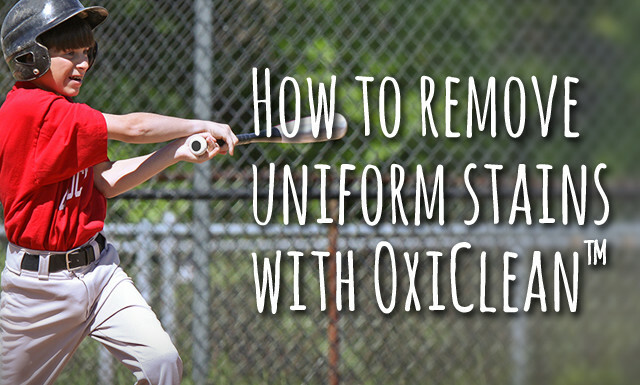 Avoid the risk of chlorine bleach spills – Instead, just add a scoop of OxiClean™ Versatile Stain Remover or White Revive™ to your detergent to keep white baseball pants whiter and colored uniform tops brighter. Use low/air setting in dryer – Very high heat can shrink uniform fabric and cause letters and numbers to peel, bubble and crack. The best option is to air dry uniforms—especially polyester ones. 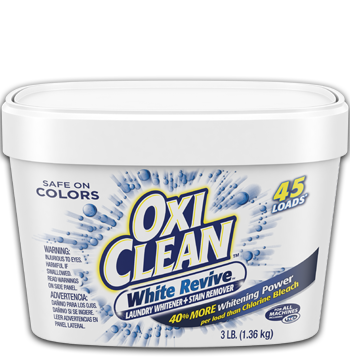 When you play hard sometimes stains can make your uniform look dingy or dull, but with OxiClean™ White Revive™ whites can be whiter and brighter without the smell or spills of chlorine bleach! Always test in an inconspicuous area first. Always follow manufacturer's guidelines for the item being cleaned. 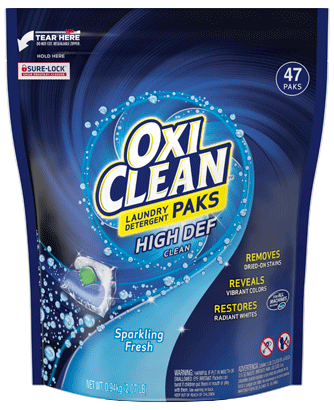 For best results, pre-soak to remove tough stains and revive dingy uniforms. MIX 1 scoop of OxiClean™ White Revive™ per gallon of the warmest water recommended by the garment care label. 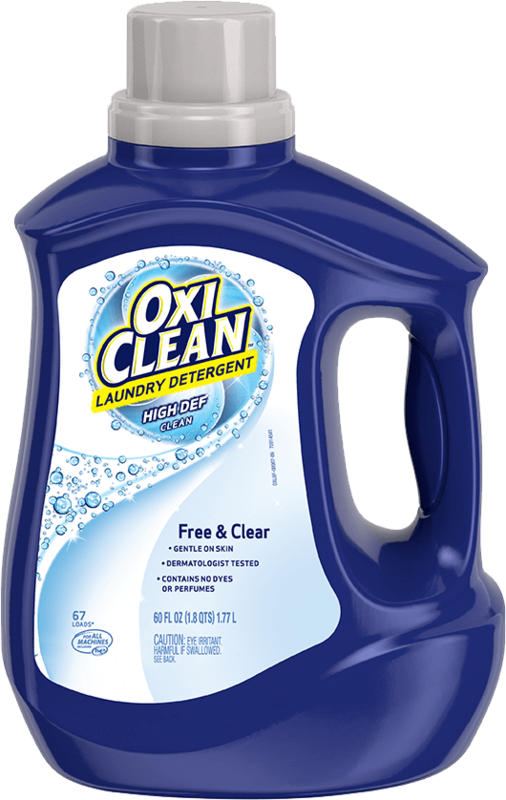 WASH as normal with detergent and a scoop of OxiClean White Revive filled to line 2. 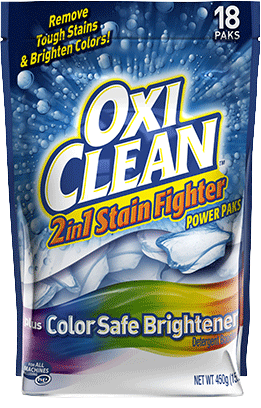 Uniforms can attract other tough stains like sweat or can get stinky with body odor, but with OxiClean™ you can Get the Tough Stains Out! 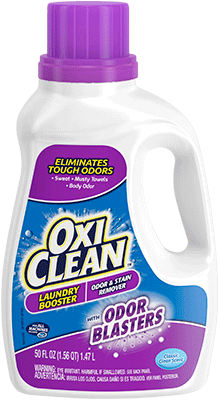 And try combining OxiClean™ White Revive™ with OxiClean™ detergent. 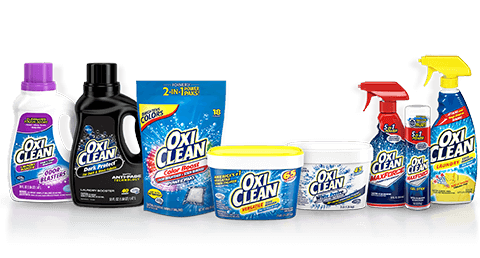 With this powerful combination on hand, your family’s uniforms will be fresh and clean on every game day.